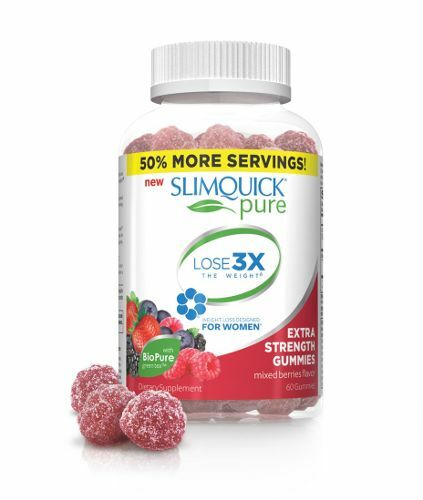 I received a bottle of SLIMQUICK Pure Extra Strength Gummies to review for this post. I know the first thing most people want to know, or maybe it is just me, is how do they taste. I am a pretty picky eater, even a bigger pick at gummie things. I am generally not a gummy fan as many things seem to have some kind of off taste, I assume it is the gelatin or something. With this they actually have a "sugary" coating that helps the texture and the flavor be bold and sweet. This makes eating the much easier. Now on to the good stuff. These are supposed to help aid in speeding up your metabolism. It is winter here so that is a good thing. While I only lost a little bit of weight I know I could have lost more had I been able to exercise as well. They did seem to help burn the calories that I was already eating at a higher rate than I was prior to starting the gummies. As far as purchasing, they are really easy to find, most chain retailers as well as drug stores carry them. My local Walmart has them for $19.88 a bottle. Which is a great deal as it is a 60 count bottle, each serving being 3 gummies. So for almost a months worth for about $20. It is definaly worth the price to try it out. I will continue using them in hopes that this warm weather comes back and I can work out with them and see how much more they work then.